A few weeks ago, I enjoyed a behind-the-scenes tour of historic Britex Fabrics in downtown San Francisco. It was fabulous and I highly recommend checking it out if you are in town. The densely packed multi-floor store can be a bit overwhelming but having a knowledgeable staff member to guide you through the stacks of fabric really demystifies the shopping experience. 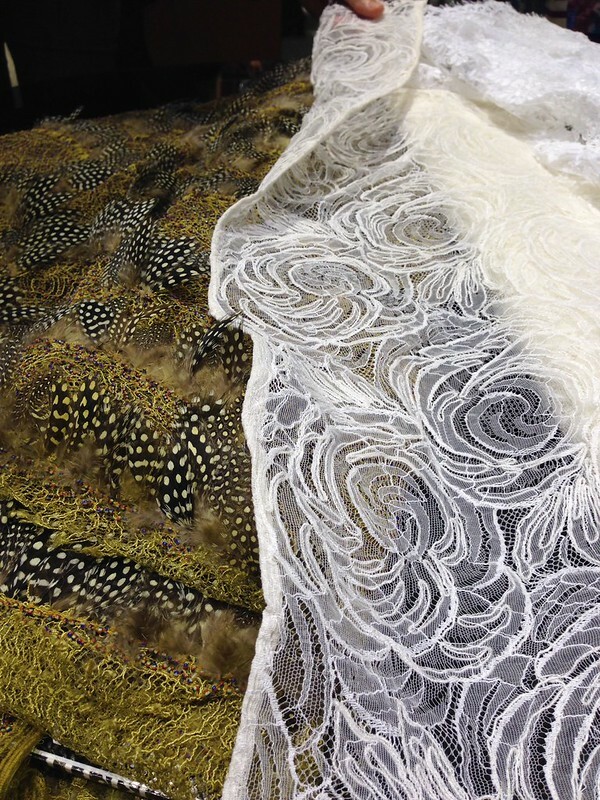 As you enter on the fist floor, you are immersed in floor to ceiling high end wools, silks, and laces. Our tour guide did a great job of familiarizing us with these fabrics, educating us about textile production and the challenging business of retail fabric. She also included a bunch of juicy historical tidbits and fun facts about the store which opened in Union Square back in 1952 by Martin and Lucy Spector. Today, their daughter Sharman continues to operate the family business, who also joined us on the tour. Her passion for making high quality fashion and home decor fabric available for her diverse range of customers is truly inspiring!